I’d be hard pressed to find a more exciting car here at the LA Auto Show than Audi’s announcement of its sport-back e-tron GT. Although the teasers and camo version drip released over the previous 2 days made it out to be a S7 sportback body plopped onto a 2019 Porsche Taycan powertrain, we were pumped to see more. Seeing the real thing in person at an Audi event this week, which we were brought to on Audi’s generous dime, was an experience unto itself. 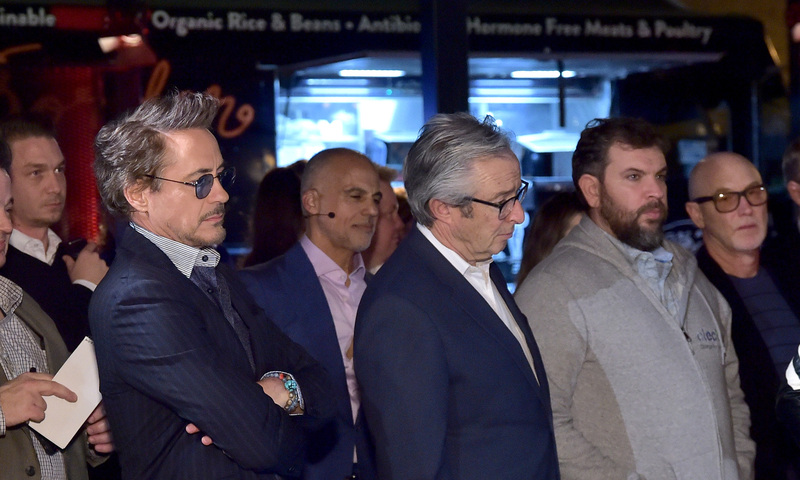 We were brought to a non-descript parking lot in downtown Los Angeles Monday Night for the presentation which was MCed by Iron Man himself Robert Downey Jr. While I’m not a celebrity or RDJ fan in the least, the e-tron GT and its designer Marc Lichte really stole the show here. Lichte also participated in a roundtable with a few journalists where he espoused his affinity for electrification and the new opportunities it gives designers. While he was slightly strapped with the design parameters of the J1 platform / Porsche Taycan wheelbase, the freedom of losing the ICE and exhaust more than made up for it. Lichte noted that he was a big fan of what Tesla was able to do with the Model S and was excited to have the same type of design freedom. Audi says it wants to get to 15 models or 30% of its vehicles to EVs by 2025, which sounds anemic to me, but nonetheless was a point I heard touted over and over this week. That’s not a new statement, but Audi is doubling down on it with the launch of the beautiful e-tron GT. All of the EV project managers I spoke to said they wish they could sell 100% EVs but they said the reality is that most of its customers want ICE vehicles. When pressed on ways to convert its brand-loyal customer base, the project managers and Lichte responded they convert people by making beautiful and sporty utilitarian electric vehicles. Educating customers is key here but Audi is a business and showing customers the advantages of EVs is driving customers away from its ICE vehicles — which is a tough sale. Because of my horrific experience buying EVs at traditional automakers, I’m extremely skeptical of dealers actually trying to sell these vehicles. Obviously tuneups, oil changes and basic maintenance are far less necessary on EVs which have far fewer moving parts than ICE vehicles, meaning dealerships are losing their bread and butter business there. Audi assured me in uncertain terms that their dealers were properly incentivized to sell these vehicles. I’m looking forward to testing the experience. Additionally, each dealer would have at least one of the GTs on the lot in addition to other EVs including the e-tron SUV. Each dealer is required to have a medium speed 25kW CCS DC charger in the service bay area and some dealers (mostly in California) were even opting to install faster CCS DC chargers in public spaces that could be used by the general public. With its 800V system that it borrows from the Mission E/Taycan platform, the GT will charge significantly faster than any EV currently on the road. We peeped a Mission E charging at over 250kW and we’ve heard tell that even the Audi e-tron SUV would charge at slightly over its 150kW rating for up to 70% of the charge. That’s significantly above the current speed of Tesla’s fastest charging options and puts the vehicle closer into the magical space where energy transfers as fast as gasoline. That said, we don’t have any definitive stats on this car and won’t until homologation closer to its launch in 2020. How does Audi get this kind of charging speed while leaving others in the dust? Audi says its battery cooling technology allows its batteries to charge faster over a longer percentage period of the charge. This same cooling technology will also benefit the GT on the track where it will be able to attain its top speed for much longer than its competitors using the same hyper-fast cooling. At home, Audi includes a 40A 240V Home charger and works with Amazon to find NEMA 14-50 plug installers. That’s 8 amps more than the Chevy Bolt or Jaguar I-Pace, but still 8 amps less than Tesla’s high-end 48 Amp level 2 home chargers. For long distance charging, Audi is leaning on Electrify America, which was formed on the back of the Volkswagen Dieselgate settlement. We’re huge proponents of what Electrify America is doing, but remain skeptical that they will be able to put together a cohesive charging network by 2020. Obviously with its CCS standard, the e-trons will be able to charge at any CCS combo charge point which typically currently max out at 50kW. That means for many trips, charging stops might be over an hour, at least for the foreseeable future. You want Audi e-tron GT specs? We’ve got Audi e-tron GT specs for you. The drivetrain might sound familiar if you’ve been following the Porsche Taycan saga with its 800V charging and motor system. But besides the skateboard underneath and some oddities like the windshield and part of the B-Pillar, the GT is totally bespoke and a separate vehicle. Let’s take Audi at face value here. 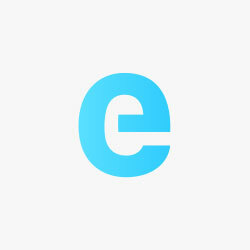 The people involved with the e-tron and specifically the GT are EV fans. They want to build a compelling EV and by early looks have emphatically done so with the GT. The 3.5 second 0-60 times aren’t going to beat a 4-year-old Tesla, nor is the charging infrastructure. But hopefully Audi chooses to aim this car elsewhere, namely its installed base of brand loyal, ICE-driving fans. Late 2020 can’t come soon enough. INGOLSTADT/LOS ANGELES, November 28, 2018 – Audi e-tron, the third: The brand with the four rings is presenting one of the stars of the 2018 Auto Show in the movie capital Los Angeles. With the electric powered Audi e-tron GT concept a four-door coupe is making its debut as a show car. The volume-production counterpart is set to follow in approximately two years.